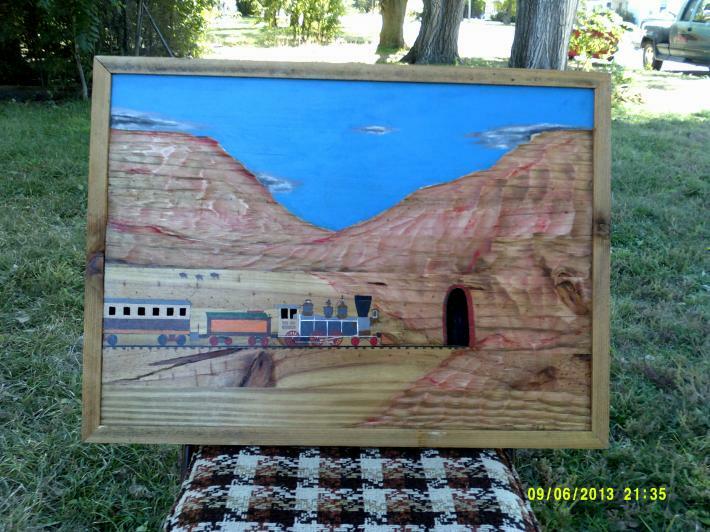 Drawn and painted on wood an old locomotive entering a tunnel in a mountain. The tunnel is cut out of the wood as are the windows of the train. The mountain is carved out of the wood with a skill saw.